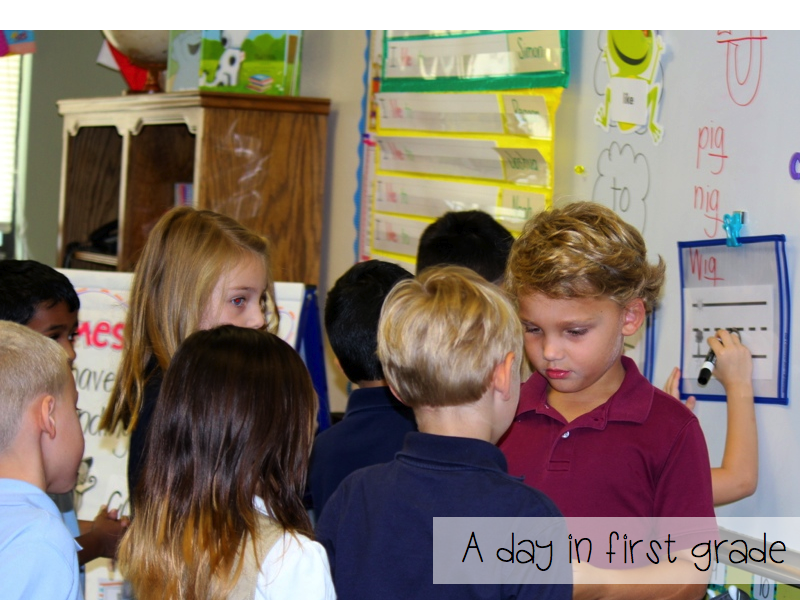 A Day in First Grade | The first week back and visual lesson plans for week 2! 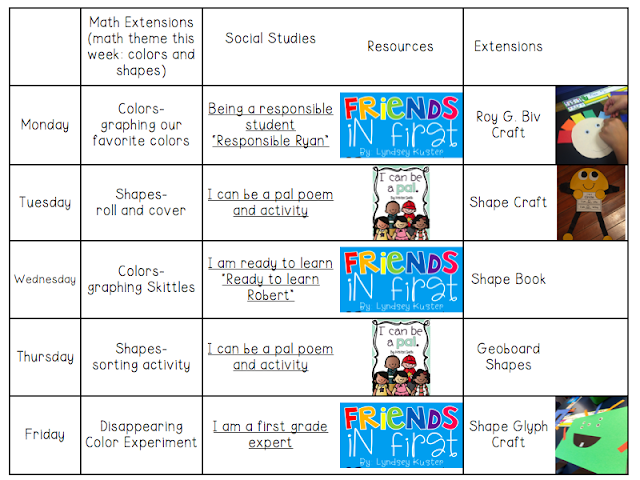 The first week back and visual lesson plans for week 2! 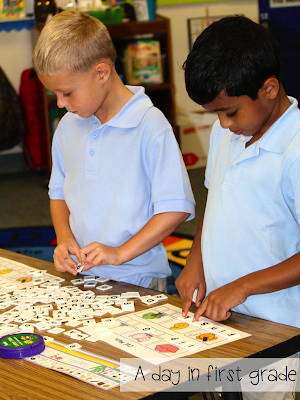 This week I introduced my students to “work mats.” We reviewed CVC words and using our manipulatives. The boys below are working on CVC mats by Lori over at Teaching with Love and Laughter. You can get them here if you are interested. 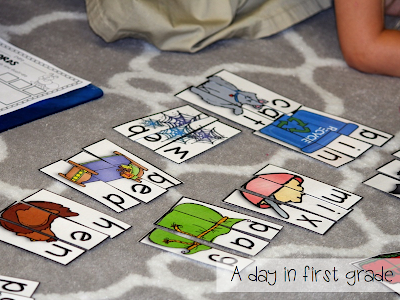 This was a great, easy activity for my new first graders. 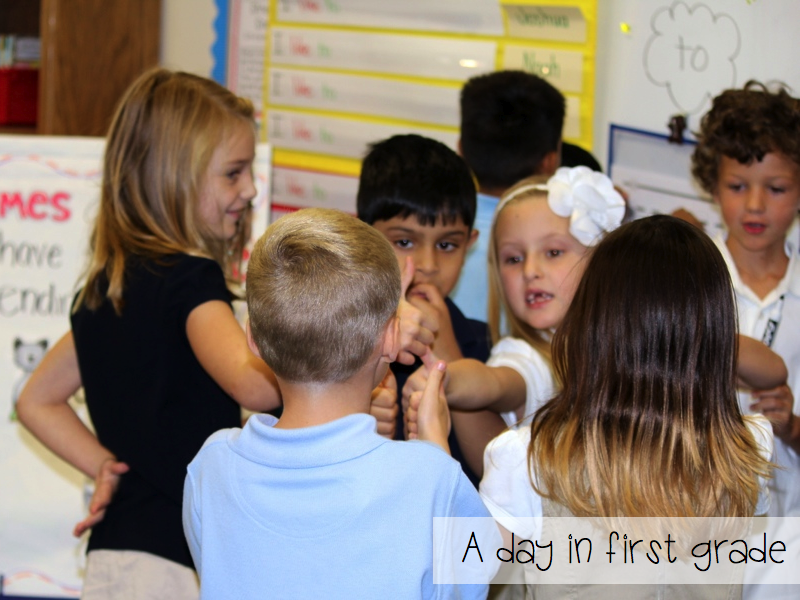 They loved the hands on activity and they could successfully sound out the words. Another center this week was CVC puzzles. Again, this puzzle is by Lori and my students LOVED this. 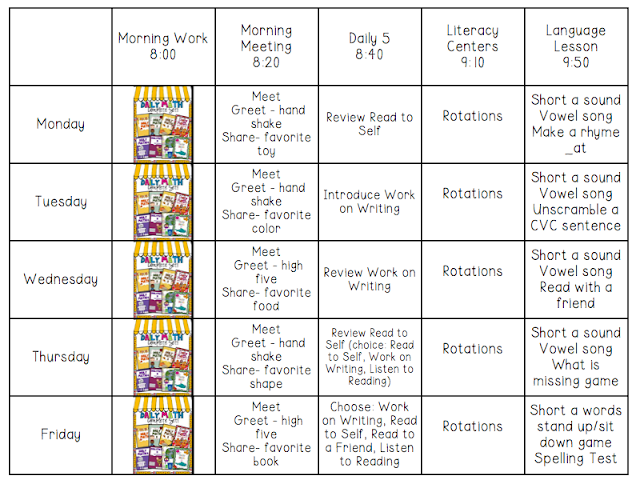 This is a great first week activity as it is self correcting! I also began our handwriting instruction. We played this really fun game that my kids LOVED. After going over and practicing how to make the “ball,” (as in ball and stick letters) I grouped my students into three teams. 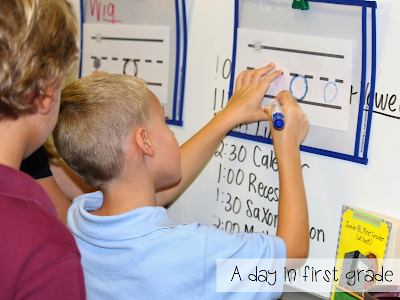 They made lines at the board behind their handwriting mats and their challenge was to trace my “o” carefully. 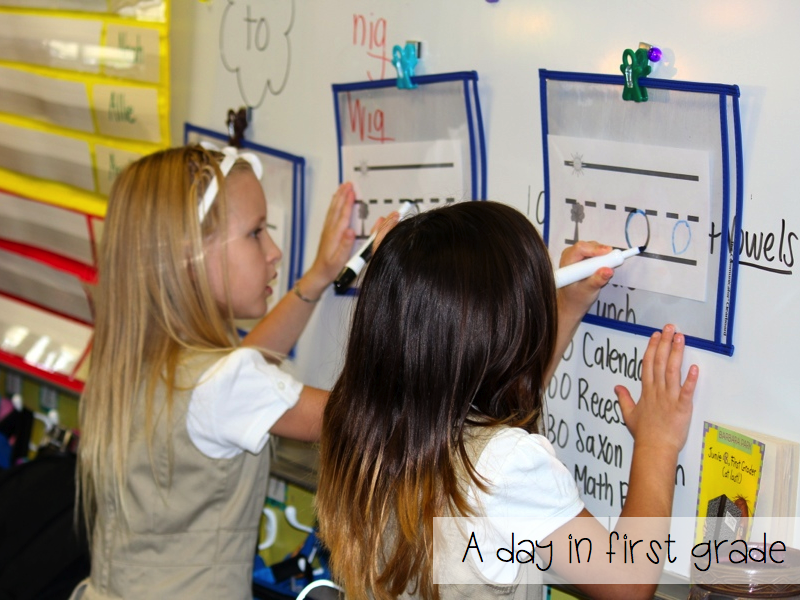 Then they had to pass their marker to the next friend in line and go to the end of their line. I told them this is NOT a race, instead, it is a challenge to see which team can be the most supportive and careful. 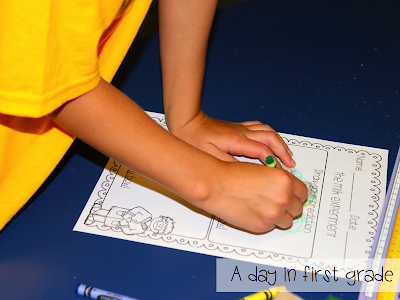 They silently traced their letters and encouraged their friends with smiles and thumbs up. Here they are saying good job with the thumbs up! They were so sweet and kind and really enjoyed this! Plus it let me help my students form their letters correctly. 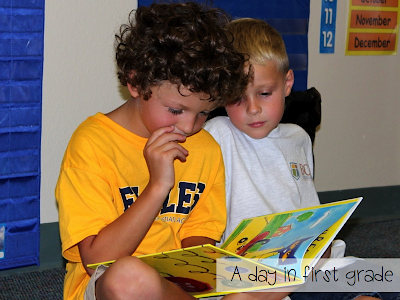 On Thursday I introduced “Read to a Buddy.” I use this often in my classroom so it was important that I taught them the correct way to read with a friend. 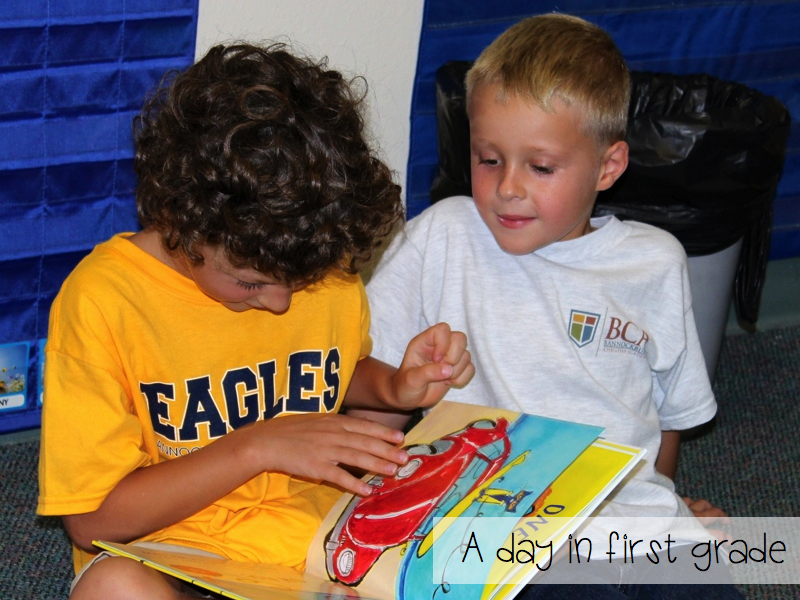 They really enjoyed sharing their favorite books with their new friends. 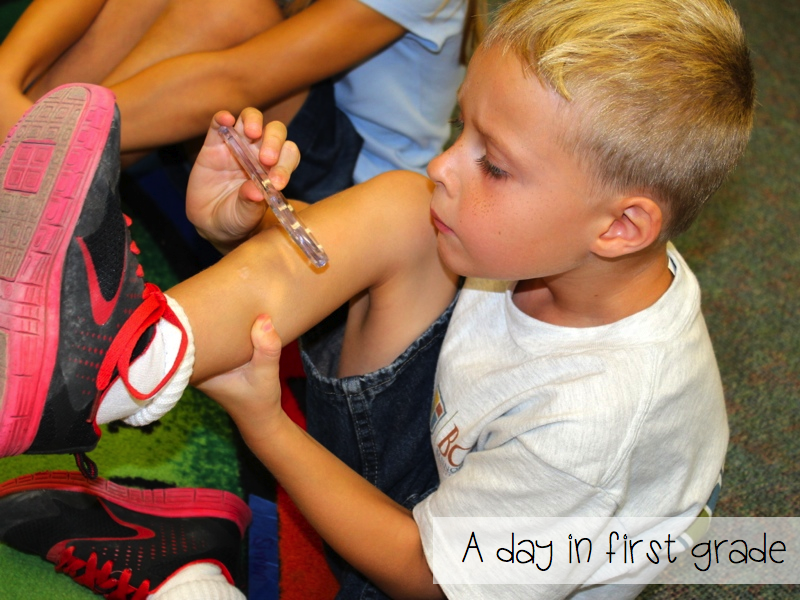 On Friday I introduced what a Scientist is and how to use some of our Science tools. I did a mini-lesson on how to use a magnifying glass because children normally think they need to put them close to their eyes. I told them to find a cut or birthmark on their body and showed them how to “inspect” it with a magnifying glass. 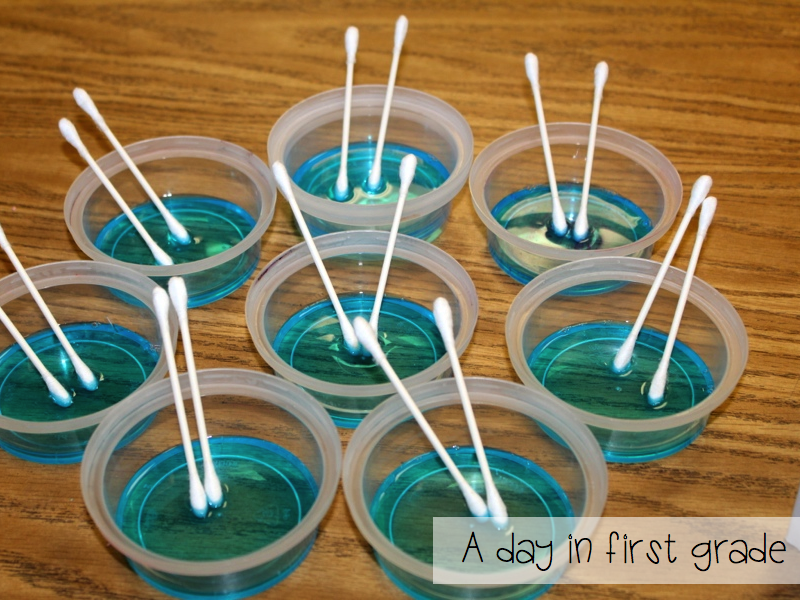 Then we were ready for our Science experiment! 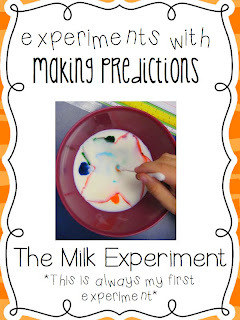 As you know, I start my year of Science experiments with the milk experiment. 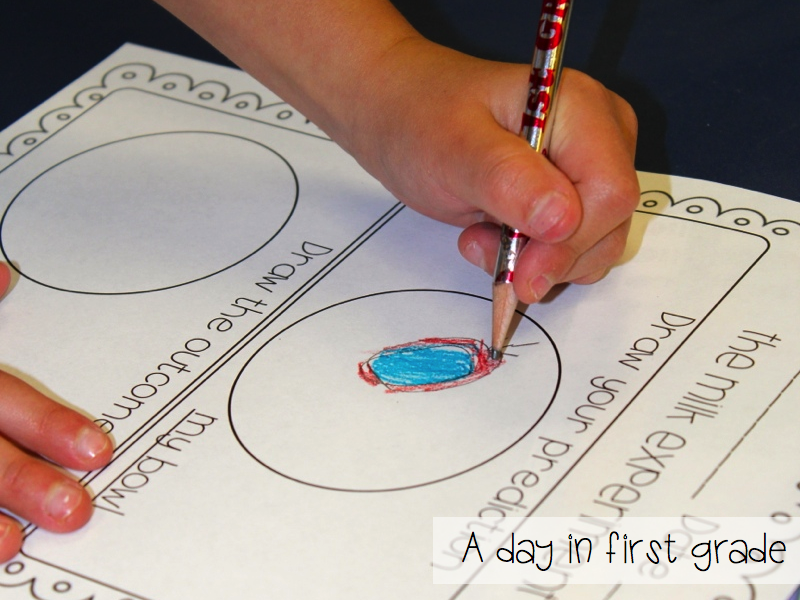 I always set it up in advance b/c we are still learning self control and patience! 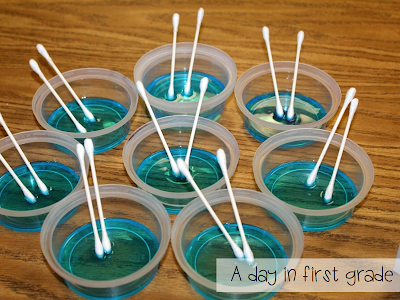 I use yogurt tops to put the Dawn dish soap in and put Q-tips for each student in the cups. I then ask them what they PREDICT is going to happen. I then send them back to their desks to draw what they think is going to happen. 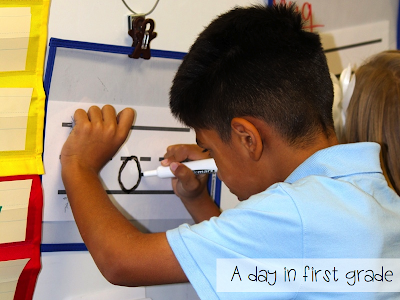 Afterwards, I partner my students up and let them explore! 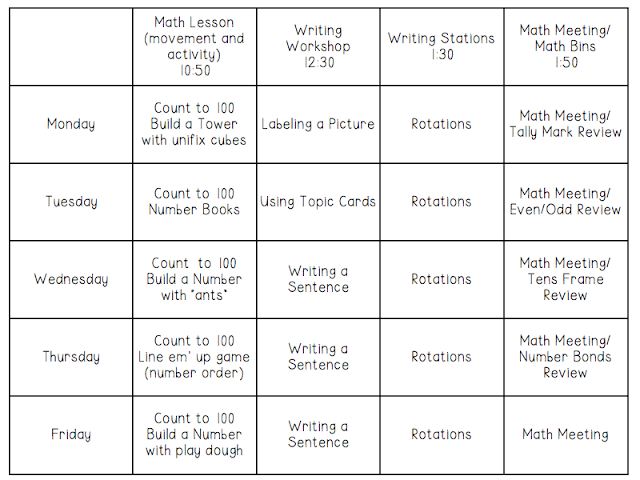 Here are my visual lesson plans for the week. 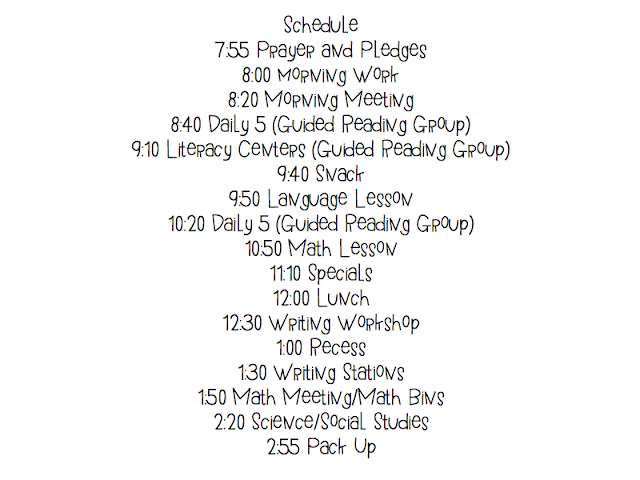 We will be using Reagan’s Daily Math packet as our morning work. 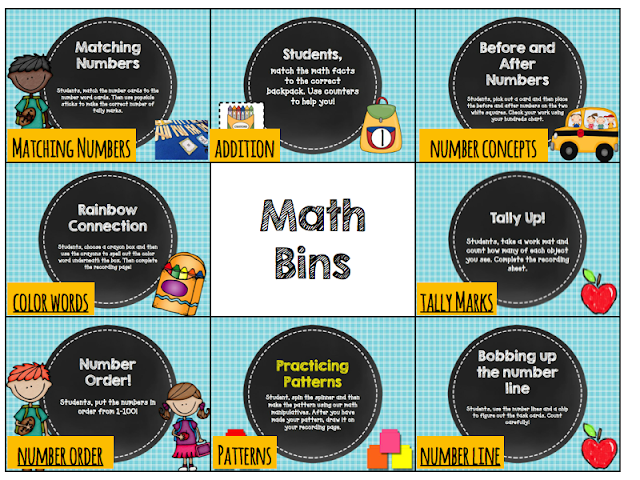 This was a huge hit last year and it helped my students master their math concepts quickly and easily. 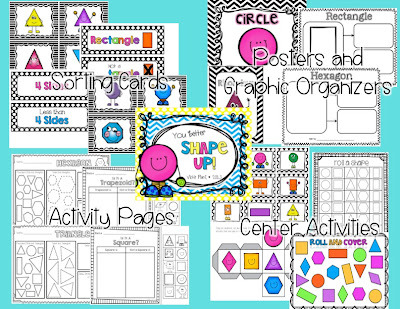 My theme this week is “shapes and colors.” I will be using activities from my friend Vickie’s shape pack. Holy cuteness, I love it! She has so many really adorable activities in it! We will definitely have a blast with these activities!! We are still working on becoming a first grade expert from Lyndsey’s pack. My students are loving the cute stories and refer to the characters often! I will continue to introduce the experts next week! You can download my visual plans by clicking on any of the pictures or here. Once you download it there are hyperlinks where the words are. If you click on the words, it will take you to the activity! 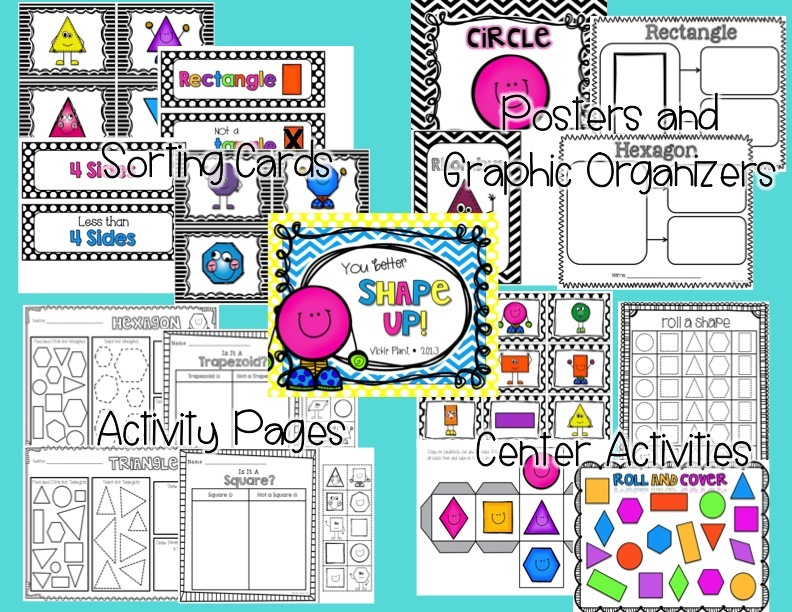 I’m linking up my visual plans with Deedee from Mrs. Wills Kindergarten. 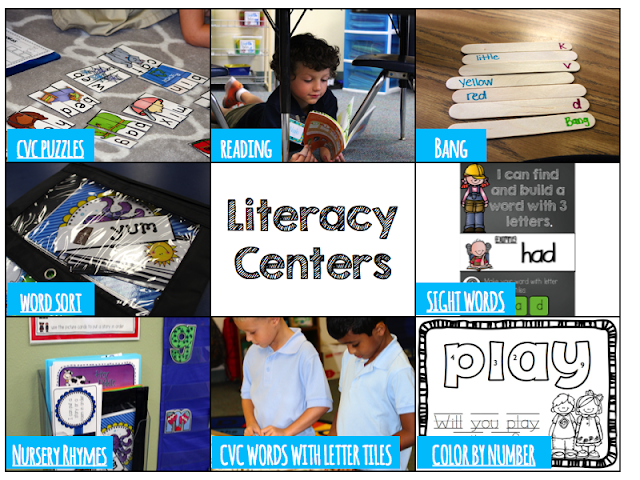 Click on the picture to get taken to see more visual lesson plans! I have the most amazing friends ever!!!! Just saying! 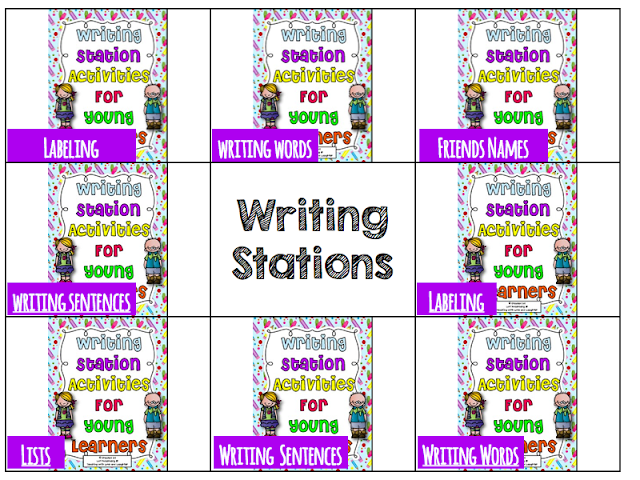 I am a homeschoolwr and use or adapt LOTS of your amazing ideas! Thank you so much for being so generous, and for all of the wonderful inspiration!!!! I love the team handwriting idea . . . I really, REALLY LOVE it!!!! Going to roll with this one next week. Thanks for the inspiration my friend. Kristen, you are such a fun teacher! I love your activities and schedule and pictures and everything about you! Thanks for sharing how amazing you are! 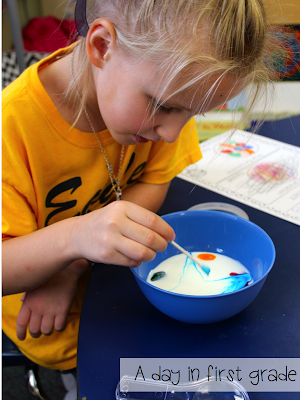 Thanks for sharing the great science experiment! I am going to do it with my students next week! Wow! 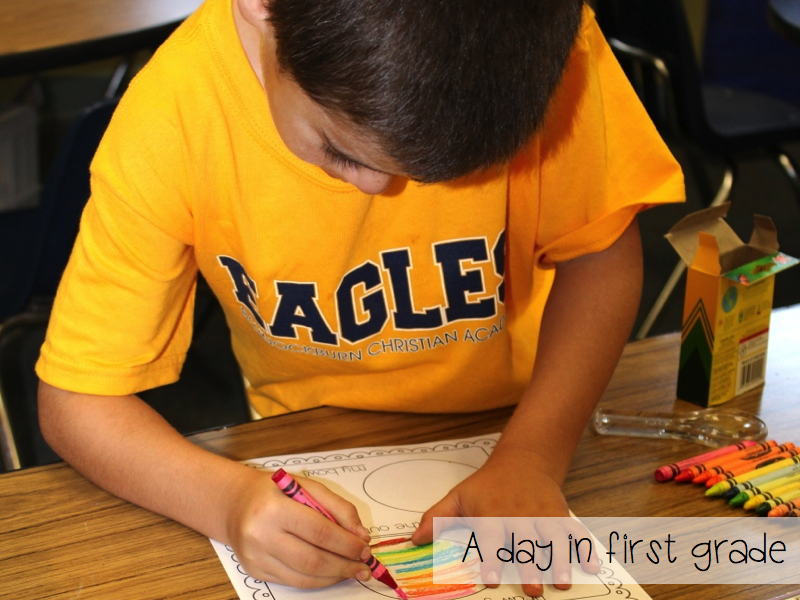 Looks like you and your kiddos were busy with LOTS of fun stuff during your first week back! 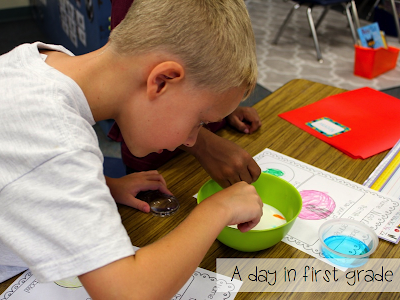 Love the science investigations -such a fun way to get started with science for the year! Have a great weekend! I love seeing friends in your plans!!!!!!!!!!!!!!!!!!! Oh my word! Girl! What an amazing post! Thank you for linking up with me! Looks like you’ve got some cutie shapes ideas. Going to check them out..
Oh and to add to my last comment…my daughter is an auditory learner..thank you for posting the math songs!! That made my job homeschooling much easier! I guess my first comment didn’t post…so thank you for posting everything. 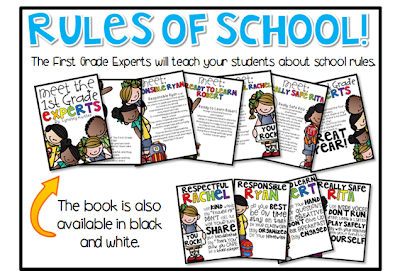 I am homeschooling and I use your resources and ideas to create curriculum for my daughter. Thank you for the inspiration! Thank you for your hard work!! Love your organization! and weekly science! Thanks for sharing your wonderful gifts of ideas.